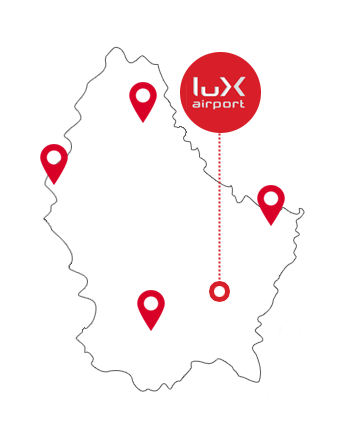 Your Guide to Shopping at Luxembourg Airport! What can I do in Luxembourg? If you’re coming to visit Luxembourg, you’re in for a treat. Discover the various regions in the country and get a taste of the rich culture. Dive into the colourful history that each region has to offer. The capital, Luxembourg City, is only a short distance from Luxembourg Airport.What better place to start your adventure? Explore the many nooks and crannies of the city and find some hidden gems. Or perhaps you’d prefer to ramble down the old streets and marvel at the medieval fortifications. How about stopping for a bite to eat at a charming little restaurant? Luxembourg City has something for everyone. Why not take a trip to the lush countryside and take in the breath-taking landscape of Luxembourg? Vast, unspoiled areas of enchanted forests dotted with mysterious medieval ruins await you. Don’t be surprised if you stumble across quaint little villages and stretches of vibrant wild flowers too. All year round, the countryside is perfect for peaceful excursions, family tours or romantic getaways alike. Find out more about the enchanting destination.